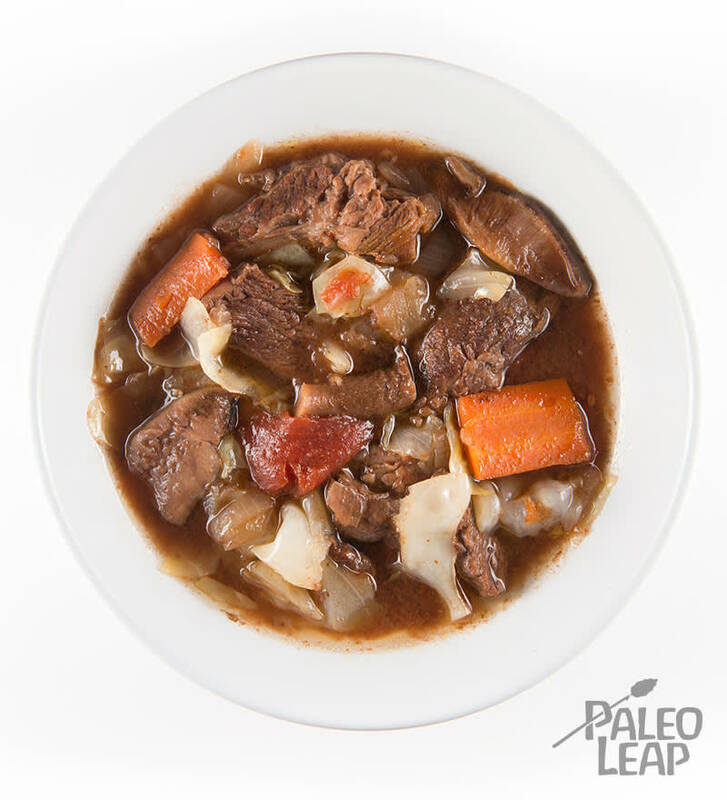 There are countless recipes for beef stew, though we all know that slow cooked is the way to go for delicious bites of tender meat. Beef chuck, the cut we are using here, comes from the neck, shoulder or upper arm of the cow. It is a tougher cut of meat, hence using the method of slow cooking, yet it is flavorful through and through – and it is a great way to explore eating all parts of the animals. When opting for beef, grass-fed meat is best. For example, it contains much higher levels of vitamin K2 than conventionally raised cattle, which is important for your healthy heart and bones. And antioxidants? Grass-fed beef naturally has more than grain-fed cows. Even if it costs more, and it does, it is a good decision to make the switch when you can afford it. In the meantime, it still makes perfect sense to eat Paleo, even when you can’t afford grass-fed meat. Wine is a wonderful addition to the beef stew, but if you think that a little more spice is nice, you may also want to consider tossing in a small handful of juniper berries or whole peppercorns. Curl up with a good book while this tempting beef stew is slow cooking in the background the next time you have a day off of work. Any extra portions can be frozen and greatly appreciated at a later date. Season the beef with salt and pepper, then heat a pan with some cooking fat to medium-high heat. Add the beef to pan and brown the meat on all sides. Set the beef aside, and cook the onion, garlic and mushrooms for about 7 minutes with a little more cooking fat added to the pan. Place the remaining ingredients, except the cabbage in your slow cooker. Season again to taste. Add the cabbage and cook for another hour.